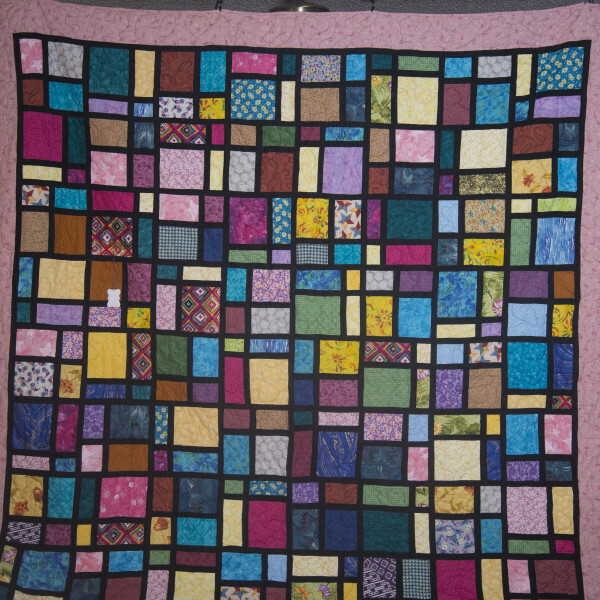 This quilt is queen size and measures 108″ X 95″. 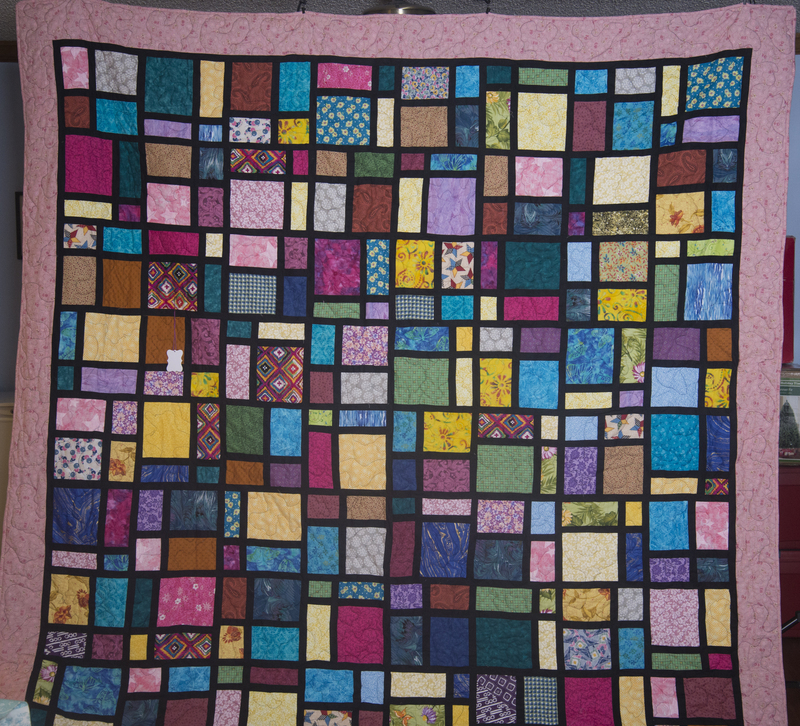 The pieced top is machine pieced and then machine quilted. It has polyester batting. There are not any animals or smoking in this home business. The cost is $690. This looks slightly like a stained glass window. 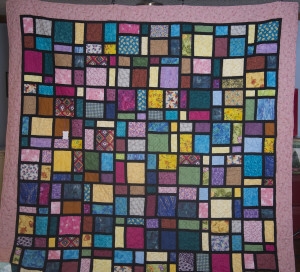 Anyone would enjoy this quilt.